Three storeys and three different set ups! I loved the rooftop sitting area as it comes with an uninterrupted view of the beautiful Powai lake. 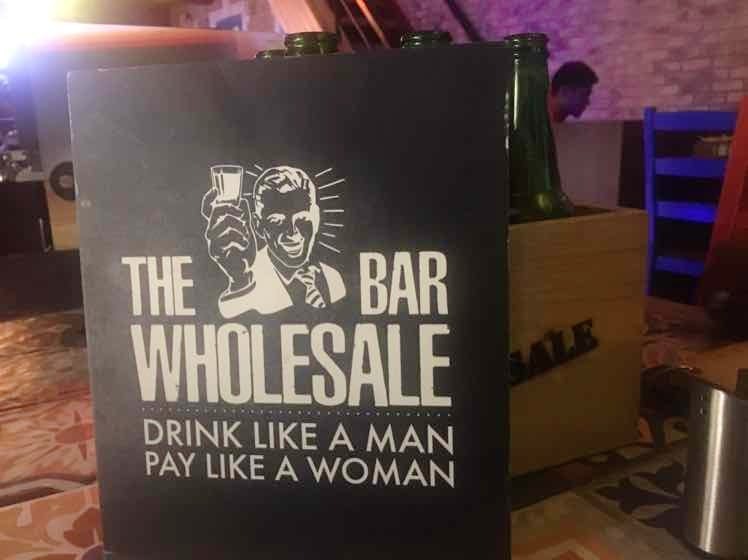 They have positioned themselves as a "wholesale bar" where the concept is simple, buy in bulk and pay less. The rooftop has no fans, only mist sprinklers, so choose your seating area accordingly. They also have a wholesale 99 offer running which is different everyday. So on Monday you will get dessert of the day, Tuesday is for rum concoctions, Wednesday for beer of the day, house vodka on Thursday, whiskey of the day on Friday; and on Saturday and Sunday you can enjoy shots for just INR 99! Cheap Booze, yes please! What are you waiting for?